Should you Airbnb your Sussex property? Since it started in 2008 Airbnb has become the largest accommodation booking website in the world. It’s revolutionised sofa-hopping, weekend stays, business travel and backpacking. It’s made some property owners a lot of extra cash and has turned normal homes into guesthouses. 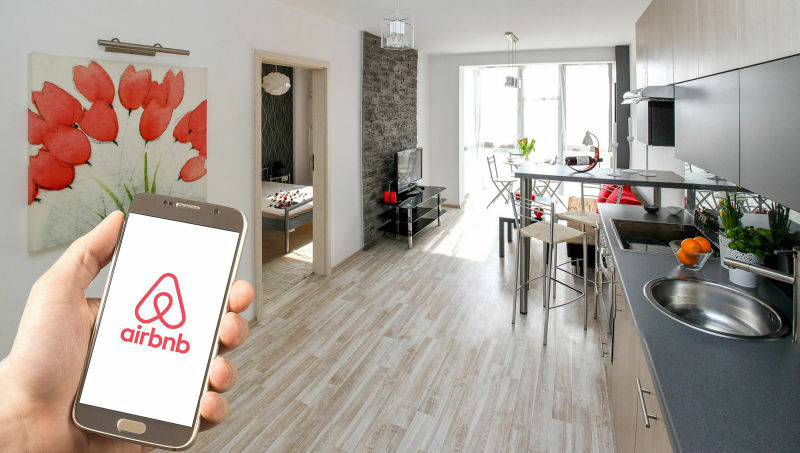 If you’re yet to sign up to Airbnb but have a spare room in your house or flat, you might be tempted by the lure of earning some extra cash. Sussex accommodation is particularly sought after, and Brighton seafront homes can command high daily or weekly fees. Rural properties like the charming cottages of the villages around the A27, or terraced homes on the cobbled streets of Lewes are also very attractive to anyone looking for a relaxing break. And of course, anywhere close to a train station is going to be popular with business travellers too. But before you jump in and offer your accommodation out to the world wide web, there are a few things that you need to consider. If you’re the Freeholder of your property, then, in theory, you can use it as you wish. However, you should call your mortgage company to check that there aren’t any objections from them. Some mortgage terms mention holiday lets so just double check you won’t invalidate anything by offering an Airbnb stay. if you’re a Leaseholder, it’s likely that there are restrictions in your lease stating that you can’t use your flat or apartment as a holiday home or sublet it. This would mean that even having someone over for one night could be breaching the terms of your lease. Check with the Managing Agent of your block to be sure you’re allowed to invite strangers to stay with you on Airbnb terms. If you’re a renting tenant of a property, you shouldn’t be subletting or sharing rooms without the Landlord’s permission. And you certainly shouldn’t allow anyone you don’t know to stay in the property without you. You are directly responsible for any damages or undue wear and tear they cause including floods, security risks, fire…. Pretty scary stuff if anything goes wrong! You will need to make your contents insurance company aware that you’re going to be using your home in this way. They may be able to provide you with some temporary extra cover during the period your guest is staying. If there was any accidental damage to your prized possessions, carpets, or interior décor then you may not be able to make a claim if the insurers weren’t already aware of your Airbnb guests. We speak to a lot of people that use Airbnb to advertise their spare room. Most people do it not just for the spare change but also because they really enjoy playing host to others, offering advice about the local area, getting breakfast ready and having some extra company around the house. It’s a very sociable thing to do if you’re someone living alone in a large house, and you can choose to just be “open” a few weeks a year so that you still have your own privacy. The downside to Airbnb is that you are letting strangers stay with you. Although the website has a review system and the ability to collect a damage deposit, you just never know what might happen. If you are allowing anyone to stay without you being present it’s a good idea to leave them a property handbook highlighting important things to note about heating for example to minimise the risk of damage to the property and huge utility bills. If you’re inviting temporary lodgers in to stay with you, be aware that not everyone will be a people person and while you might be keen to get to know your guest and entertain them, they may well just want to retreat to their room alone! Also, be aware that not everyone may be as clean and tidy as you, so consider whether you’re prepared for dirty carpets, chipped walls and hairy sinks! How much money can Sussex properties make on Airbnb? Brighton studio flats are available on Airbnb from around £50 per night – this studio flat in the Queens Park area has had over 193 guests at £55 per night, which would generate an income of at least £10,000! Spare rooms are available from around £16 per night up to £90 per night. Property owners can set their own rates and will often start low to attract positive reviews. Entire 4 bedroom or 5 bedroom houses in Brighton can command up to £600 per night, but whether guests are willing to pay this will depend on location, facilities such as hot tubs, parking, on-site gym, and past reviews. If you’d like some help looking for an investment property to help you earn money through Airbnb, contact our Residential Sales team who can advise on popular areas and property types. If Airbnb sounds too risky for you and you’d prefer the steady income of a tenancy agreement for 6 or 12 months, with the aid of a Property Manager, our lettings team can advise you on how much your property is worth and we can help you find reliable tenants.